Our first installment in the timeline series covered events from the beginning of human history up to 1000 BC. This installment will cover from then up to 500 BC. During this time, one of the great civilizations emerge, and a deity is born. The Greeks established a tradition of Panhellenic games, in which male athletes from all over the country would converge on a location and compete in contests of speed and strength. 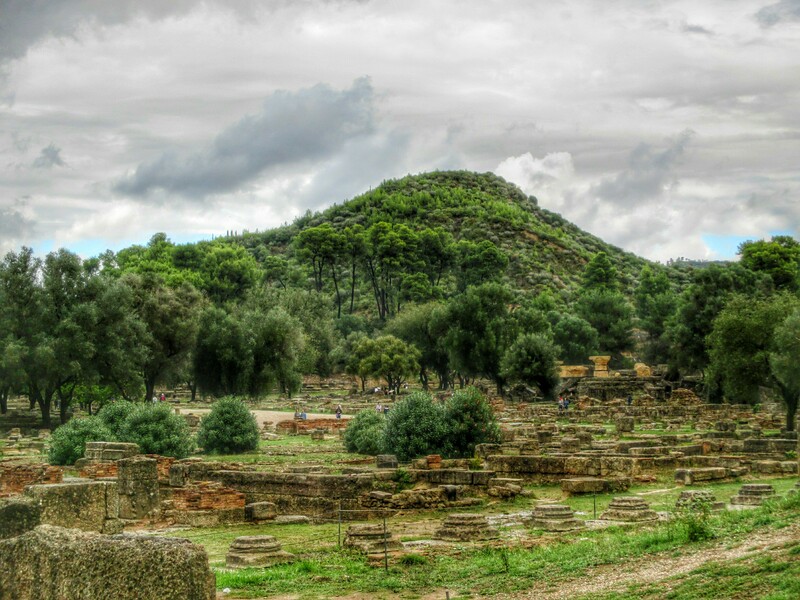 The most famous and the oldest were the games held in Olympia, which gave rise to the tradition we now know as the Olympics. As the Greek population grew and the culture began to flourish, what we now call the Archaic Greek culture emerged. The hallmarks of the art of this period were standing figures carved out of stone; the male figure was called a kourous and the female a kore. 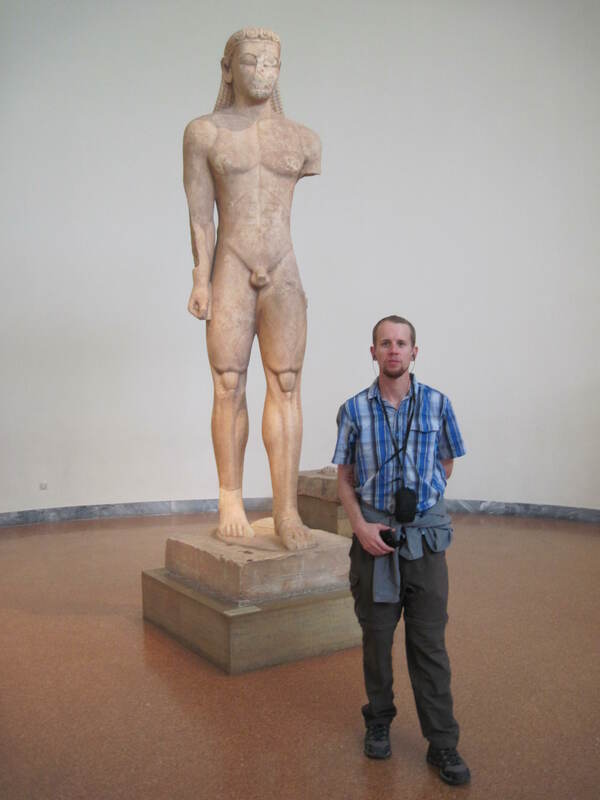 We saw one of the more well-known Archaic kourous figures at the National Archaeological Museum in Athens. The Panhellenic Games held every four years at Olympia were not just an athletic competition. In addition, they functioned as a large religious festival. 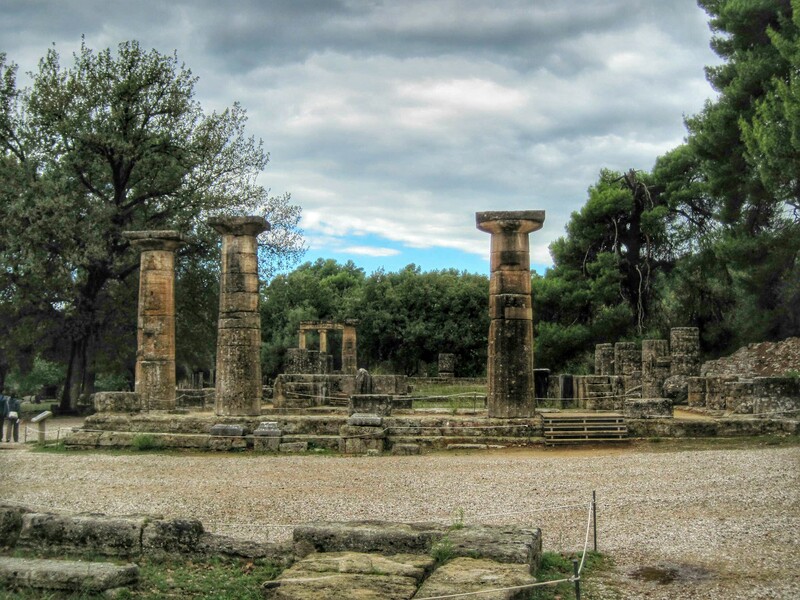 To support the religious activities, a large number of temples were built in an area called the sanctuary, or Altis. 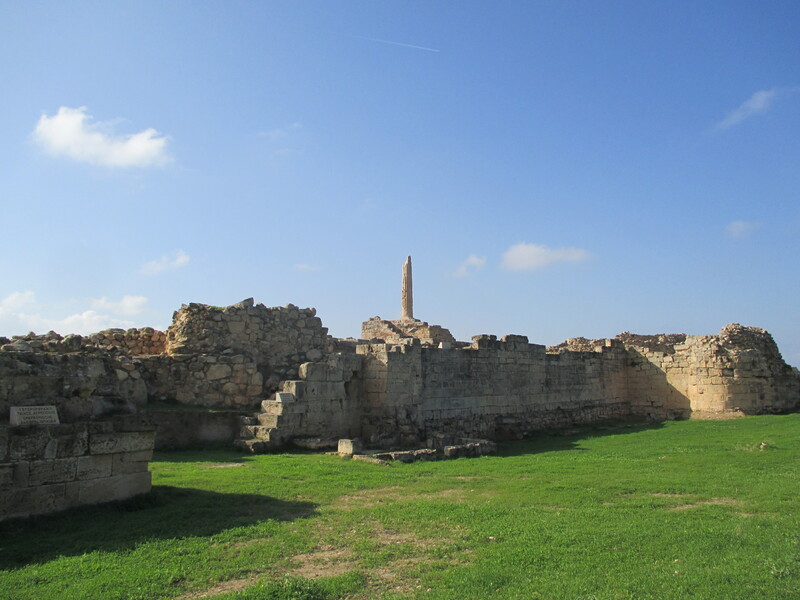 This temple was one of the first structures erected, and one of the first examples of a Doric temple. Today, it is used as the site where the Olympic flame is lit by sunlight reflected from a mirror. 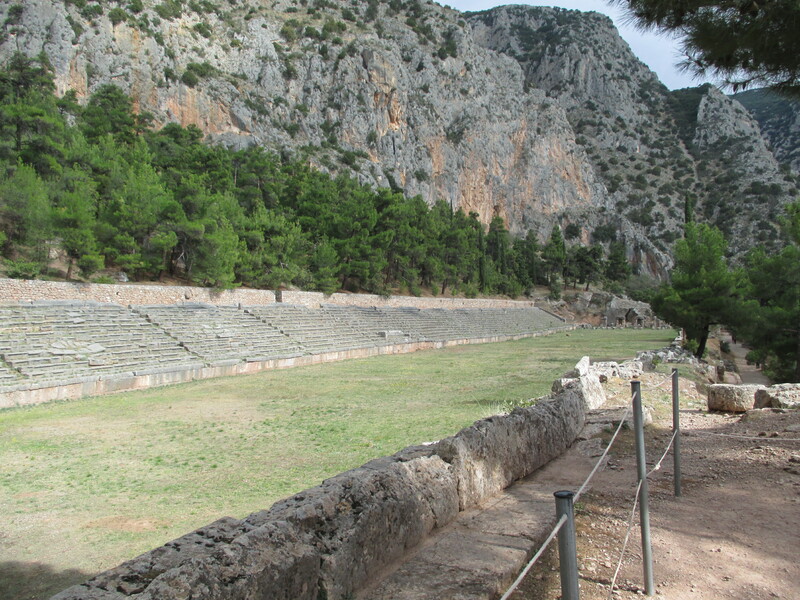 The games held at Olympia are the most famous, but the sanctuary to Apollo at Delphi also hosted a Panhellenic Games every four years. These games had the same athletic events as those at Olympia, and also had art and dance competitions. 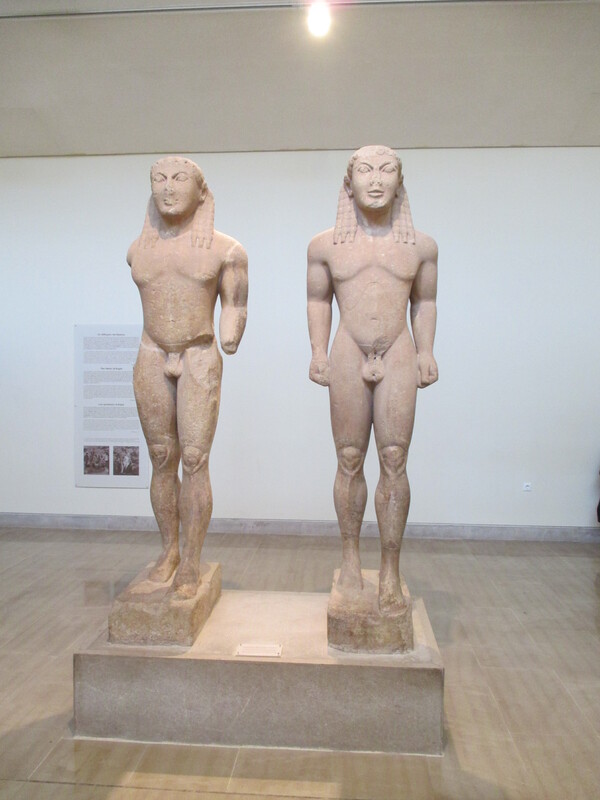 This pair of kouros statues were sculpted in Argos, but were found in Delphi, where we viewed them at the archaeological museum. The man who would attain enlightenment and become the Buddha was born in Lumbini, Nepal around the middle of the 6th century BC. We didn’t visit this site, but we did see the influence of this event in the countless stupas, pagodas and wats that we visited all throughout Asia. This is another famous piece of Archaic Greek art that we viewed at the archaeological museum in Delphi. 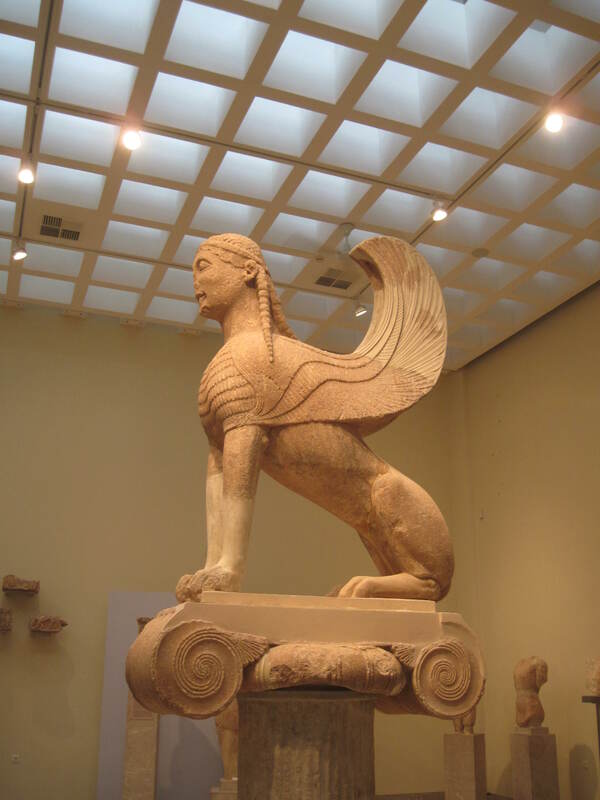 This massive carving of the mythical creature was sent by the island of Delphi as a offering to the sanctuary in Delphi. Legend states that this bronze image of Buddha was cast in the kingdom of Arakan when the Buddha visited. 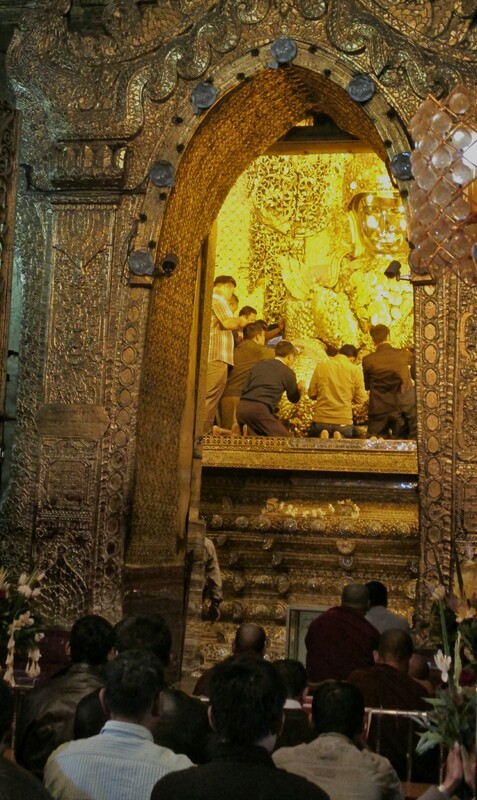 It now resides in a special temple outside of Mandalay in Myanmar (Burma). Male pilgrims apply gold leaf to the image which has given it a large gold covering. We visited the island of Aegina as a day trip from Athens with Della’s family. We walked by the ruins of this temple to Apollo on our way to the beach, but couldn’t go in because it was closed for the day. All that remains of this temple is a solitary column that we were able to see from a distance. As the first half of the first millennium BC drew to a close, the Greek culture began to reach its apex. In our next installment, we will travel through many of the relics of the Greek classical period that we were able to view. ← Gliding Through Green Bay… on a Segway!